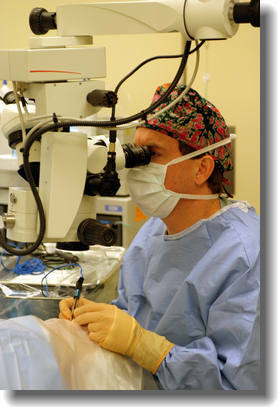 As medical director, Dr. Christie oversees all medical and clinical operations at the Surgery Center. Dr. Christie is responsible for making sure that the center provides the medical staff with the most advanced equipment and instrumentation. He also ensures that all of the medical staff provide the highest quality of professional care. As clinical director, Dr. Phillips is involved with quality assurance, infection control, and patient safety at the Surgery Center. Dr. Phillips also assists in implementing new services and technology and maintaining compliance with clinical standards, laws, and regulations. Oversees the staff and the operations of the Surgery Center. In this capacity she ensures the Center is always in compliance with federal and state standards concerning quality of care. Our infection control officer, Mary Ann Argyros, RN is responsible for maintaining the safety of the Surgery Center by minimizing the instance of infection. Mary Ann identifies and addresses any potential infection risk, and she ensures that our entire staff remains compliant with the highest standards of preventative practice. Our clinical and nursing staff is the best in the business in every regard. In addition to providing friendly individualized care, all of our staff are trained in cardiopulmonary resuscitation (CPR), advanced cardiac life support (ACLS), pediatric advanced life support (PALS), infection control, emergency preparedness, patient rights and ethics, and many other areas pertinent to their responsibilities in the Surgery Center. Our staff is constantly learning and developing new ways to offer our patients the safest and most comfortable experience possible.